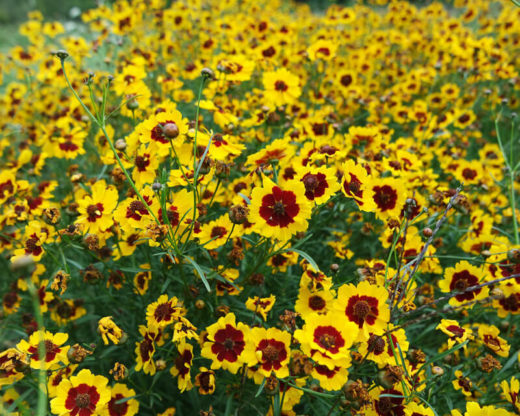 Tall Plains coreopsis is the true original of the coreopsis clan. 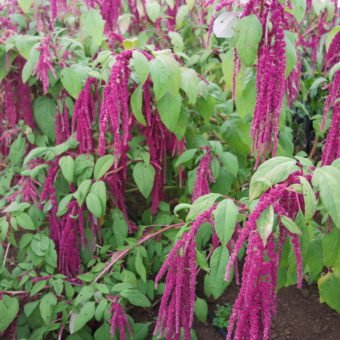 The plants are loaded with bright yellow flowers that have dark maroon centers. Blooms reach 2” across, petals have nice jagged edges. Plants grow to 3′ with ferny foliage. A great low maintenance addition to the flower garden, the sea of blooms make excellent fill in flower bouquets, and create superb pollinator habitat over a long season. Blooms right up until frost. 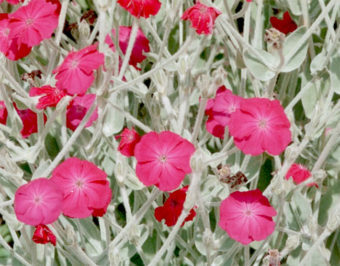 Thrives in disturbed areas and wet soils but is also drought tolerant, naturalizes easily and is deer resistant. What more could you want? Native to the plains of the US and has naturalized throughout most of the country. Self-seeding annual. 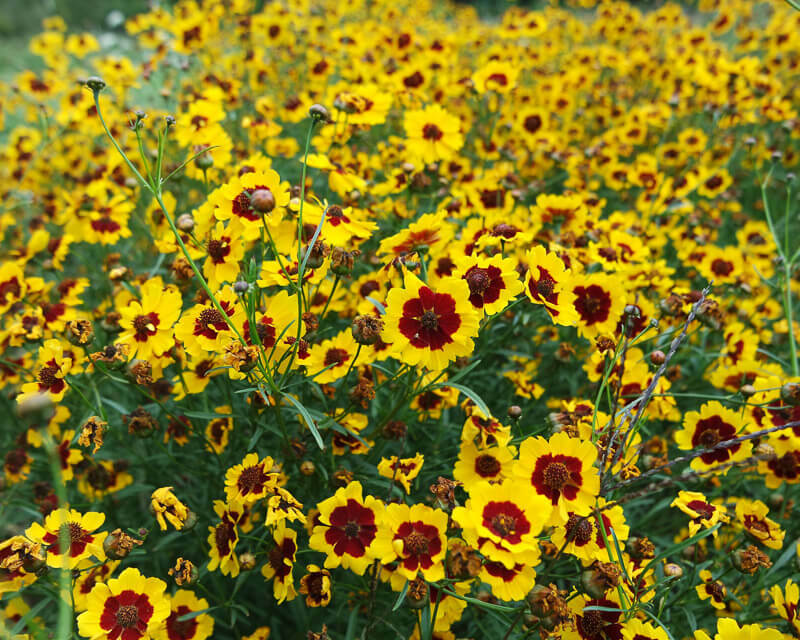 Aka, Calliopsis, Tickseed. Direct sow 1/16-1/8” deep after danger of frost, or sow indoors for transplant 6 weeks before last frost. Thin/ transplant to 12-18”. Plants prefer full sun. Deadheading prolongs bloom and limits self-seeding. Collect seeds from seed heads that are fully dry. Shell by hand or shake plants with dry seed heads into a bucket, winnow or screen to clean. Some cross-pollination may occur, isolate from varieties of the same species by 1/4 mile. What’s the seeding rate/timing you’d advise?